Item number 2902/38 from the MOA: University of British Columbia. Small black hat with colourful embroidered designs. Front of hat has a blue semi-circle flap that sticks out and is situated between two green embroidered squares with swirl designs, outlined in a light blue rectangle. 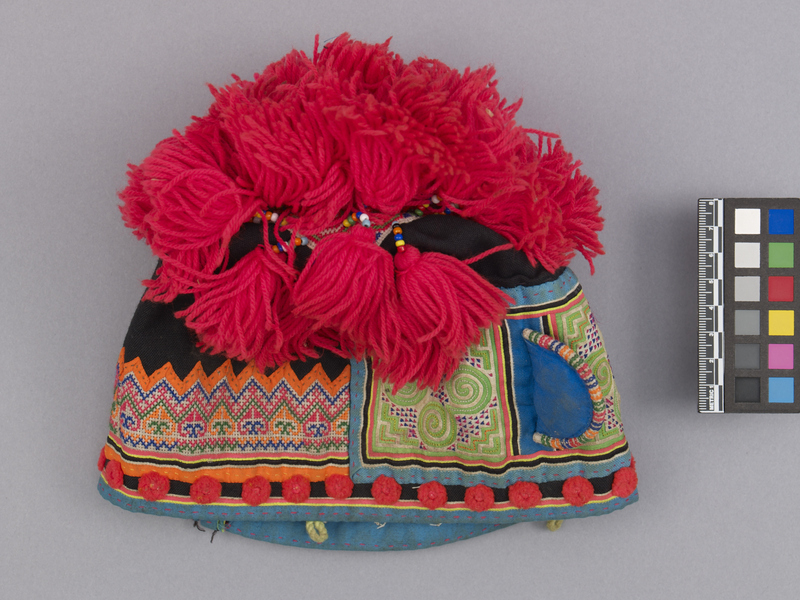 Pointed orange, pink, blue and green embroidery decorates the back bottom half of the hat. Small pink pompoms line the bottom edge. 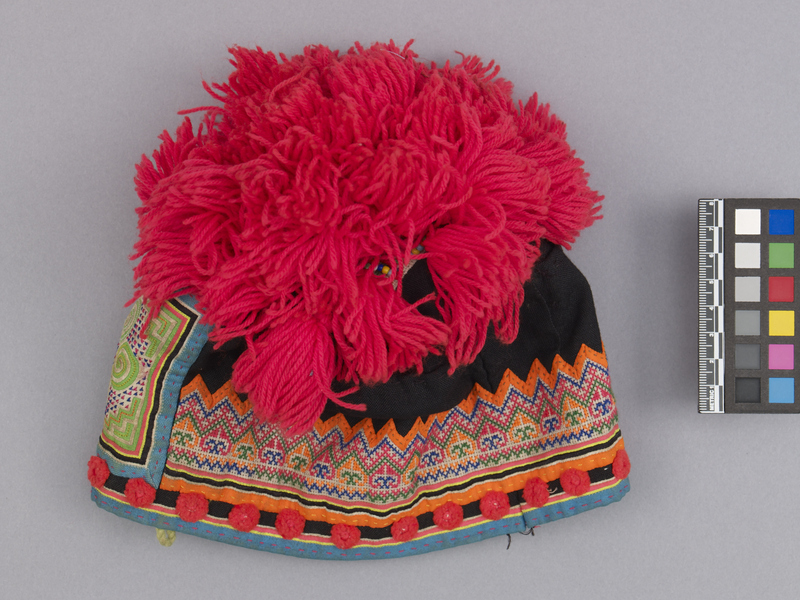 The top of the hat is covered in pink wool tassles that are attached to the hat with short strings of coloured beads. There are two small green loops of wool on either side of the hat, perhaps used for ties.